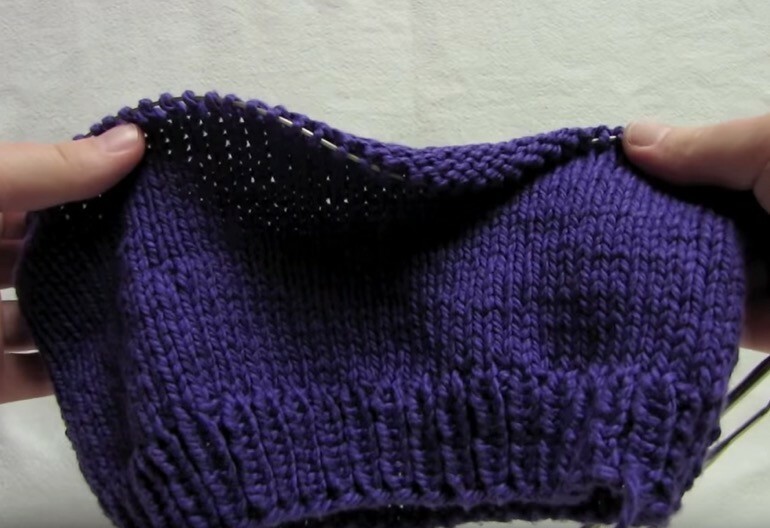 In this video tutorial today, Liat Gat of Knitting Superstar, demonstrated how to do the Traveling Loop method for the Magic Loop. Sometimes, when you are working on a large-diameter Magic Loop project, your loops of cable can disappear. You just have too many stitches to fit them comfortably on a 40– or 47-inch needle. But you still want to use Magic Loop, and you certainly don’t want to buy a shorter needle! Liat ran into this problem while making a basic Magic Loop hat for a friend of hers — his head is 23″around, which is just too big to maintain two loops of cable. So, shes used a modified form of Magic Loop called the Traveling Loop, using just one large loop of cable! This video tutorial above was created and is brought to you by Liat Gat, the web’s premier knitting instructor, who is also the creator of the most comprehensive video knitting course around: Become a Knitting Superstar. To watch the entire video course and get more great tips to help you learn how to knit in the round using the magic loop technique click here: http://knitfreedom.com/classes/magic-loop-knitting. Wow!!! Thanks!!! I’m going to try this with newborn hats. The smaller needles on a 12″ circular are too short for me….my fingers ache.